In March 2019 we will start the 6th World Online University Team Championships on Internet (Bridge Base Online). 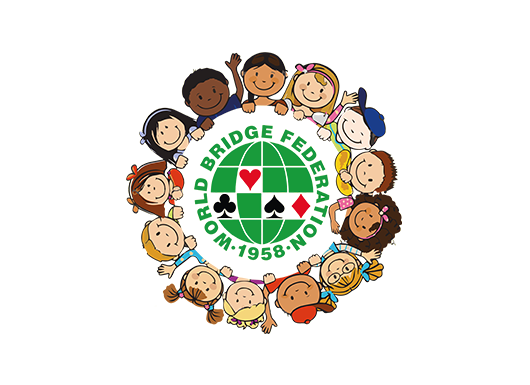 These championships are organized by FISU (International University Sports Federation) and the WBF (World Bridge Federation). 1. It is a knock out competition on internet between countries where the schedule is determined by draw. We will first start with a group phase. The best 32 teams will start the knock out phase ending with semi finals and finals. 2. A country can enter an unlimited number of teams. Your team must be composed by 4 to 6 university players and a captain must be indicated. For each athlete, you must enter: name, surname, birthday, nationality, university or high school, country and email address. This must be entered to kubakasprzak@o2.pl (with a copy to geert.magerman@telenet.be). 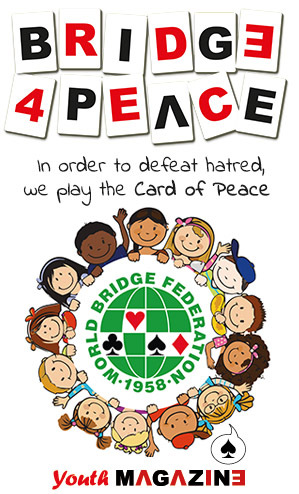 We request you to connect to the facebook “Uni Bridge” account (if possible in your country) to catch up with all results and next events. 3. Both captains have maximum 1 month to schedule and play a match of 32 boards. The result must be sent directly after the match to kubakasprzak@o2.pl (with a copy to geert.magerman@telenet.be). All results will be published on www.unibridge.eu and on the Facebook account “Uni Bridge“. Final results will be published on FISU and WBF website. A director is at your disposal to follow your match online on internet. The competition is for free. We trust on your university spirit and fairplay which will closely follow. Any abuse will be communicated to FISU and WBF and may lead to serious sanctions. In the past, we always had more than 50 university bridge teams around the world so we hope this time a lot of teams will participate. For all information: geert.magerman@telenet.be.